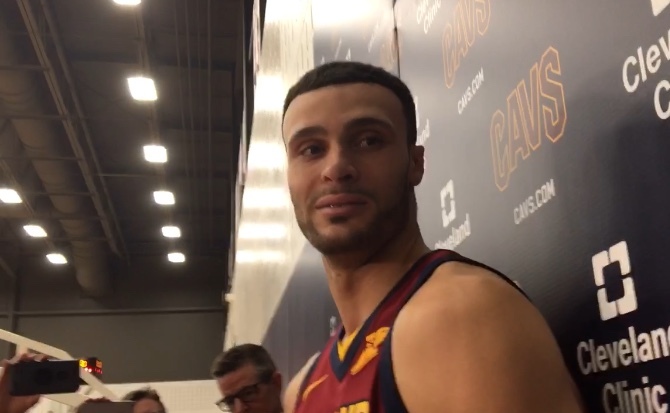 CLEVELAND– Larry Nance Jr. has been wearing No. 22 for most of his life. But when he got traded to the Cavaliers at the trade deadline, that was no longer an immediate option. Larry Nance Sr.’s No. 22 was retired by the team and is hanging in the rafters of Quicken Loans Arena. While there was some speculation that Nance Jr. would get to don his father’s number, he instead chose No. 24, saying he didn’t want to see the jersey come down. On Wednesday after practice, Nance Jr. did say the topic would be revisited this summer. But now, after discussions with the league, Nance Jr. will wear the number beginning next week. Nance Sr.’s jersey will also remain in the rafters.